Plus tax & disposal fee. Up to 5 quarts. Extended life fluids extra. All coupons must be presented at time of write-up. Does not apply to prior sales. Not valid with any other coupon. Only valid on Toyota and Scion vehicles at Andrew Toyota. Excludes some models. Coast-to-coast warranty service at more than 1,200 locations! Toyota and Scion vehicles only. Excludes Prius & Hybrid battery. Must present coupon when order is written. Plus tax and shop supplies. Not valid with any other offer. Prior sales excluded. Valid only at Andrew Toyota. Not valid with any other offers. Offer good at participating dealers. Cannot be combined with any other coupon or advertised special. Valid on Toyota and Scion vehicles only. See dealer for details. Please present coupon at time of write up. Captures circulating dust and other unwanted air particles and provides a more comfortable breathing environment within your vehicle. Must present when service order is written. One coupon per customer. May not be combined with any other offers. Not applicable to prior purchases. Other restrictions may apply. Valid only at Andrew Toyota. Concerned about your brakes? Let us take a look! Includes a complimentary visual inspection and written recommendation. Additional diagnostics and services may be recommended at an additional charge. Does not apply to vehicles 1995 and older. Other restrictions and limitations may apply. Must present coupon when order is written. Plus tax & shop supplies. Not valid with any other offer. Prior sales excluded. Valid only at Andrew Toyota. Don’t let Wisconsin’s road construction get you down. Let us help you get back on track! Must present when service order is written. One coupon per customer. May not be combined with other offers. Not applicable to prior purchases. Plus tax and shop supplies. Other restrictions may apply. Valid on all Toyota models! We will check the main 12V battery for proper operation. You will receive diagnostic results of the battery health check. Must present offer when order is written. Not valid with any other offer. Offer has no cash value. Toyotas only. 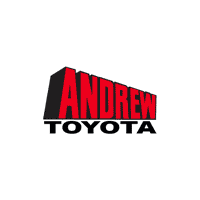 We will drive you within a 20 mile radius around Andrew Toyota. No need to wait at the dealership. Let us take you back to your home or place of business. *No coupon necessary. See your service advisor for details. Fill your tires with NitroFill™ to stabilize tire pressure, which increases fuel economy and minimizes tire wear. Price plus tax. Toyota vehicles only. Must present when service order is written. One coupon per customer. May not be combined with other offers. Not applicable to prior purchases. Not responsible for typographical or printing errors. Other restrictions may apply. The Andrew Toyota Service Department offers a tire price match guarantee. Bring us a local tire store’s written price quote and we will match their price! Choose from the very best brands in stock at our Toyota Service Department. Restrictions apply. See your Service Advisor for additional details. Toyota and Scion vehicles only. Available for dealer-installed identical in-stock tires that meet vehicle specifications. Customer must present a printed lower-priced pre-tax price quote dated within 30 days of purchase from a retail location within 25 miles. This Price Match Guarantee may not be combined with any other offer including rebates, clearance, closeout, or special prices. Plus tax & any disposal fees. All coupons must be presented at time of write-up. Does not apply to prior sales. Not valid with any other coupon. Only valid on Toyota and Scion vehicles at Andrew Toyota. Excludes some models. $25 Prepaid Gift Card with Brake Pad Purchase And Installation. Restrictions Apply. Offer valid 3/1/19- 4/30/19 on Toyota Complete Maintenance Care brake pads or OEM brake pads if a TCMC brake pad is not available for the vehicle. Brake pads must be installed by authorized dealer. Additional parts may be needed. Offer excludes all applicable tax, installation costs, and previous purchases. Not valid with any other offer or advertised special. Toyota and Scion vehicles only. Void where prohibited. For $25 prepaid car, original redemption form required. Photocopies will not be honored. Rebate submissions must be received by 5/30/2019. Please allow 6-8 weeks for receipt of your card. Please retain copies of the materials that you submit. Andrew Toyota and Toyota Motor Company are not responsible for late, lost, illegal, misdirected or incomplete submissions. To check the status of your rebate, visit www.checkyourrebate.com/Toyota or call 855-302-4572.